Lazy Budget Chef: The Replacement Anchor Hocking Glass Storage Container Lid Hack They Don’t Want You to Know! On a trip to check out the Pretending to Be an Outlet Mall, I remembered to take my cracked Anchor Hocking storage container lids with me to see if, as I suspected, the plastic lids to my Anchor Hocking glass storage containers are the same size as the replacement glass storage container lids for sale at the Pyrex outlet store. And they are! Take a look. but they are the same size! Now I have the best of both worlds. 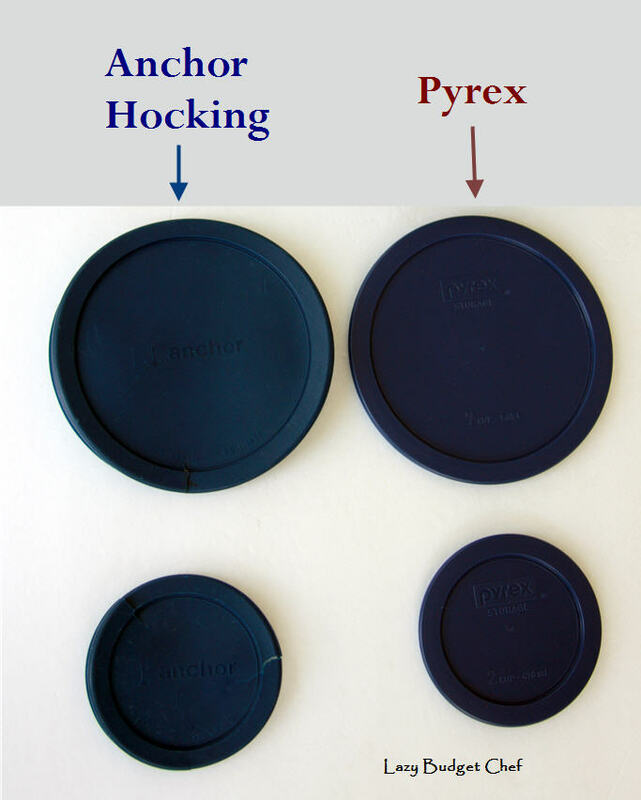 Locally made Anchor Hocking glass food containers with super sturdy Pyrex plastic lids. Yay! I feel like I just married one of the Hatfield's to one of the McCoy's. The Pyrex replacement lids cost much less and are in my opinion more durable than the Anchor Hocking replacement lids. The price of the lids from the Pyrex Outlet Store are a little higher than s ordering replacement Pyrex glass container replacement lids from Amazon (especially since I get free shipping with Amazon Prime) (aff) which is to be expected since most of the stores in outlet malls aren’t the bargain hunter's paradise they used to be. Looking for more glass food storage container ideas? Check out the following options - and more! - below! Oh my goodness, you have me laughing out loud at the "pretending to be an outlet mall"! I remember years ago knowing someone who worked at a Coach "outlet" store and she told me that they make product specifically for the outlets! 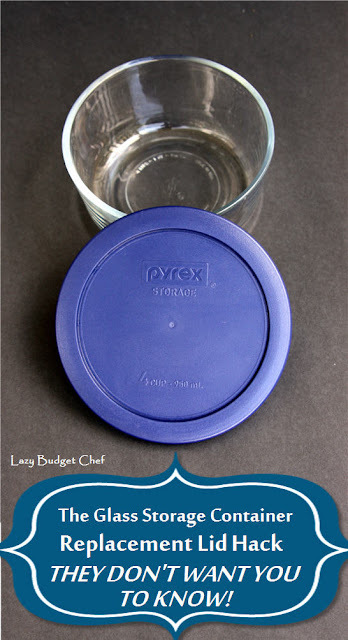 This is a great tip, I think I have a collection of glass containers with no lids left! I do have some great square containers with really sturdy snap on lids from Ikea, though. Thank you so much for sharing at Celebrate Your Story! I have only Pyrex but it was good to know they fit Anchor as well. I had to replace a few lids for my pyrex last year. I did get them from Amazon but it is a little tricky ordering them because they sell in groups - not sure I even found a single lid and if I did it was more expensive than buying a set. Anyway, I have extras. My lids have been holding up well though, I really only had a couple crack. Funny about the Outlet thing - so true. Vera Bradley has stuff made strictly for Outlet too.